It doesn’t indicate it in F Brayden Gelsinger’s bio on the Lake Superior State Lakers’ website, but the Regina native did play 14 games with the Kamloops Blazers. games in 2012-13. He later played with the BCHL’s Cowichan Valley Capitals, West Kelowna Warriors and Victoria Grizzlies, putting up 51 goals and 104 assists in 169 games. Now he’s a freshman forward, wearing No. 11, for the Lakers. He’s contributing, too, with three goals and four assists in four games. That’s right. Gelsinger, now 21, signed a WHL contract and played in the WHL, and now he’s playing for an NCAA Division I hockey team. You’re thinking . . . hmmmm, I thought signing a WHL contract meant a player lost his NCAA eligibility. I thought playing a WHL game meant a player no longer was eligible to play in the NCAA. 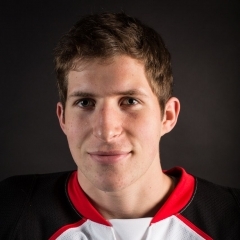 Gelsinger was playing with the BCHL’s Victoria Grizzlies on Jan. 7, when he accepted a scholarship to Lake Superior State, which is based in Sault Ste. Marie, Mich. It turns out that Gelsinger and his family worked with the NCAA and its Eligibility Center to get him on the Lakers’ roster. “The NCAA Eligibility Center is responsible for determining a student-athlete's initial eligibility status based on their pre-enrollment athletic history,” Jen Constantino, LSSU’s NCAA compliance officer and deputy Title IX co-ordinator,” told Taking Note via email. “Brayden and his family worked with the Eligibility Center prior to his enrolment at Lake Superior State University to answer the NCAA's questions and provide them with the information they needed to make their decision. So it would seem that signing a WHL contract and even playing a handful of games need not be the death knell for a young man should the opportunity arise to go to a U.S. school. The story of the WHL, the governing B.C. Liberals and how the cabinet moved to exempt the league from minimum-wage legislation may not be finished. Ian Mulgrew of the Vancouver Sun reports that, according to the B.C. Office of the Registrar of Lobbyistys, the league “did not register as a lobbyist before leaning on B.C.’s cabinet to exempt major junior players from the minimum wage law.” . . . Ron Robison, the WHL commissioner, told Mulgrew that such a move wasn’t necessary. . . . According to Mulgrew, the regulator now is taking a look at the situation. . . . Mulgrew’s story is right here. 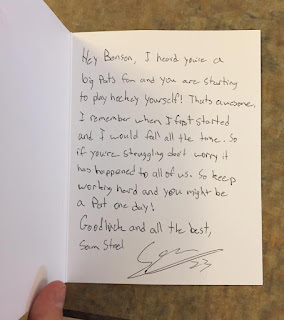 You can bet that F Sam Steel of the Regina Pats has a fan for life in the person of Benson Broda. D Duncan Campbell has cleared WHL waivers and now is a free agent. Campbell was placed on waivers as the Wheat Kings got down to the maximum three 20-year-olds. 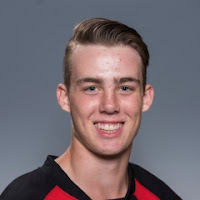 They chose to go with F Tyler Coulter, F Reid Duke and G Jordan Papirny. . . . Campbell, a Brandon native, now is free to move to the OHL or QMJHL, should the opportunity arise. Or, should he choose, he is free to play junior A. . . . The Penticton Vees hold his BCHL rights and it wouldn’t be surprising to see him end up with them. . . . Campbell was pointless in six games with Brandon this season. In his previous two seasons, he totalled 22 goals and 21 assists in 140 regular-season games. 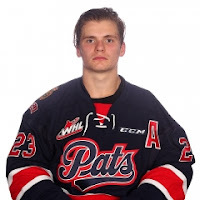 The Portland Winterhawks have dropped F Brett Clayton, who is to turn 18 on Nov. 22, from their roster. He is expected to join the AJHL’s Brooks Bandits. From Abbotsford, B.C., Clayton had a goal and two assists in 57 games with Portland last season. This season, he was pointless in three games. The Saskatoon Blades selected him in the 10th round of the 2013 WHL bantam draft. . . . The Russian team that will meet Team WHL in the CIBC Canada-Russia series has revealed its tentative roster — three goaltenders, 13 defencemen and 20 forwards. . . . Included are a few WHLers — D Artyom Minulin (Swift Current Broncos), D Dmitriy Zaitsev (Moose Jaw Warriors), D Sergey Zborovskiy (Regina Pats), F Nikita Popugaev (Moose Jaw). The roster also includes F Klim Kostin, who was selected by the Kootenay Ice with the first overall pick in the CHL’s 2016 import draft. Kostin chose not to join the Ice and has played this season with Dynamo Moscow of the KHL and the VHL’s Dynamo Balashikha. . . .
Dale McFee has stepped aside after 10 years as president of the Prince Albert Raiders. McFee, who is a former Raiders player (1982-86), cited time constraints in making his decision. Long-time board member Gord Broda has been elected president of the community-owned franchise, with McGee as vice-president. Congratulations to @Kelowna_Rockets Nick Merkley. The 19 year old's assist on Tomas Soustal's goal was his 200th point of his WHL career. Royals. . . . The Rockets held a 3-2 lead midway through the second period when they took control by scoring the next three goals. . . . F Rod Southam and F Calvin Thurkauf each scored twice for Kelowna. Southam gave the Rockets a 4-2 lead at 13:13 of the second, with Thurkauf scoring at 17:26 of the second and 3:25 of the third. . . . Southam has three goals; Thurkauf has six. . . . Lind’s sixth goal, at 4:03 of the first period, tied the game 1-1. 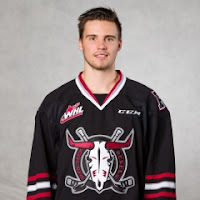 F Ryan Peckford’s fourth goal had opened the scoring at 3:24. . . . D Jonathan Smart and D Lucas Johansen had two assists each for the Rockets, with F Tomas Soustal getting a goal and an assist. . . . G Michael Herringer turned aside 25 shots for the Rockets. . . . Victoria starter Griffen Outhouse surrendered five goals on 23 shots through two periods. Dylan Myskiw played the third, stopping 10 of 11 shots. . . . Kelowna was 3-8 on the PP; Victoria was 2-7. . . . The Rockets have won four in a row to get their record to .500 (7-7-0). . . . The Royals are 8-7-0. . . . Announced attendance: 4,570. Cougars to a 5-2 victory over the Kootenay Ice. . . . F Brogan O’Brien, who also had two goals, got the visitors started at 8:05 of the first period. . . . F Austin Wellsby pulled the Ice even with his first goal at 14:04. . . . Harkins scored on a PP, giving the Cougars the lead at 7:01 of the second. . . . O’Brien made it 3-1 with his fourth goal of the season at 16:40. . . . F Brad Morrison added a goal, his seventh, and an assist for the winners, with F Jesse Gabrielle and F Colby McAuley each getting two assists. . . . G Nick McBride stopped 33 shots for the Cougars, while the Ice got 28 saves from Jakob Walter. . . . The Cougars were 1-1 on the PP; the Ice was 0-2. . . . The Cougars (12-2-1) have points on five straight (4-0-1) and now are 7-0-0 on the road. . . . The Ice (1-8-4) has lost seven straight (0-5-2). . . . Announced attendance: 1,542. The 6 game win streak is now longer than any streak last year for @Rebelshockey. 2 win streaks of 5 games in 2015-16.
victory over the Brandon Wheat Kings. . . . F Brandon Hagel snapped the scoreless tie with his fourth goal at 9:32, with F Grayson Pawlenchuk getting his third at 15:48, and D Jared Freadrich scoring his first, on a PP, at 19:10. . . . Brandon F Stelio Mattheos got Brandon on the board, with his fifth goal, on a PP, at 1:30 of the third period. . . . D Alexander Alexeyev got that one back for Red Deer, scoring his second goal at 5:39. . . . F Tyler Coulter’s PP goal pulled the Wheat Kings to within two at 8:40, but D Josh Mahura’s fourth goal, on a PP, put it out of reach at 17:59. . . . F Michael Spacek had three assists for the Rebels, running his point streak to nine games, while Alexeyev, Hagel and Mashura each added an assist to his goal. . . . G Riley Lamb stopped 22 shots for the home team, with Brandon’s Logan Thompson blocking 51. . . . The Wheat Kings have been outshot 101-40 over their past two games. The beat the host Edmonton Oil Kings, 5-3, on Tuesday. . . . Red Deer was 2-4 on the PP; Brandon was 2-5. . . . The Rebels (8-3-2) have won six in a row. . . . The Wheat Kings (6-4-2) had been 4-0-1 in their previous five games. . . . Brandon F Reid Duke missed a second game in as many nights as he tended to a family matter. . . . Announced attendance: 4,025.
the Blades. . . . F Ethan McIndoe’s second goal, on a PP, got the Chiefs on the board first, at 10:43 of the first period. . . . They made it 3-0 in the second on goals from D Trent Huitema, his first, at 3:07 of the second period, and F Kailer Yamamoto, at 9:51. . . . Saskatoon F Gage Ramsay scored his first goal — a native of Saskatoon, he was acquired from the Vancouver Giants last week — at 17:01, but Yamamoto got that one back just 42 seconds into the third period. . . . Yamamoto has 10 goals. . . . F Riley McKay’s first goal, at 2:17, made it 5-1 and school was out. . . . F Taylor Ross and F Curtis Miske each had two assists for the Chiefs, while McKay and McIndoe added one apiece. . . . D Bryton Sayers had two assists for the Blades. . . . 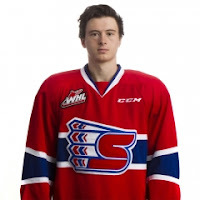 The Chiefs got 27 saves from G Dawson Weatherill. . . . Saskatoon G Brock Hamm turned aside 24 shots. . . . The Chiefs were 1-2 on the PP; the Blades were 0-9. . . . Spokane (5-6-2) is 2-2-0 on its East Division trip. . . . The Blades (6-6-1), fresh off a five-game B.C. Division trip, have lost three in a row. . . . Announced attendance: 3,178.